My Happy Stamping Place: STAMPARATUS!!!!! 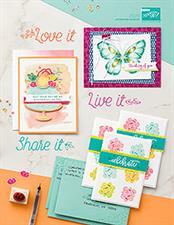 I am so excited to share with you information about this exciting NEW tool from Stampin' Up! called the Stamparatus!!! I have had to keep this under wraps for awhile and it has been so hard! long, you’ll wonder how you crafted without it! It's a pre-order! You reserve your spot and Stampin' Up! will ship out your new tool as soon as it becomes available in their warehouse. Customers and Demonstrators will place reservations and will get their products at the same time. This system will allow Stampin' Up! to get the product to market as soon as possible while avoiding backorders and efficiently managing inventory. There will be three Reservation windows. In order to reserve your Stamparatus you will need to provide your credit card information. You credit card will not be charged until it ships from Stampin' Up! 's warehouse. When you close your order please verify that your credit card and address information is correct. ***The first Reservation window sold out within the first hour!!! Oh no! That means you better get ready for the next reservation window. Here's how. 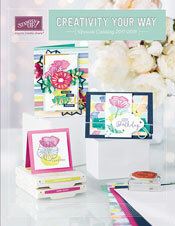 If you haven't placed an online order on my Stampin' Up! website before please go HERE now and set up an account. Then you will be ready for the next Reservation window. It starts at 2:00 pm Central time on December 5 so set a reminder on your phone!!! Whew! A lot of information! Ready to pre-order? Go to my website and click on "Shop Now". It will bring you to a page with a picture of the Stamparatus at the top. Click on "Click here to reserve yours". You will enter your credit card information but you won't be charged until the product ships.